According to Microsoft, Halo 3 alone has outsold six of Sony's biggest PS3 titles all put together. 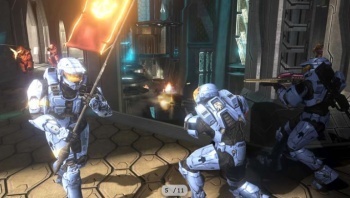 Just in case your week hadn't had enough pointless fanboy bickering thus far, here comes some perfect flame-bait material: Aaron Greenberg, Microsoft's Director of Product Management for the Xbox 360, recently Tweeted that according to NPD numbers, 2007's Halo 3 had been one hell of a success - which, to be fair, anyone with half a brain already knew. "Just in from research team (NPD): Halo 3 has outsold Resistance 1 + 2, Uncharted 1+2, Killzone 2 and God of War III COMBINED....wow[.]" Now, nobody's trying to make a statement of quality here, though Greenberg probably hopes you'll make a mental correlation between the two - he's just talking about sales. And, for whatever reason, it seems that PS3 games never do quite reach the fiscal success of their Xbox 360 counterparts - go figure, right? Oh well. Hey Aaron, want to compare Halo 3's sales to those of the Wii's biggest titles next? Probably not.